Because many of our friends and neighbors struggle financially every day, there are many charities that work hard to help people in need. Here’s a list of local nonprofits that have additional needs for the holidays. To learn about many other ways to help throughout the year, visit www.volunteercherokee.org. The Cherokee Recreation & Parks Agency is collecting items for Cherokee County Nursing Centers Nov. 6-Dec. 8 for the Hugs in a Blanket campaign. Individuals can bring a new warm blanket and a pair of unisex, slipper socks to the rec center at 7545 Main St., building 200 in Woodstock. The center has a transitional housing complex with 72 apartments and an emergency shelter that accommodates 12 women and children. The Thanksgiving wish list includes turkey or ham, fresh or boxed potatoes, gravy mix, corn or other canned vegetables, cranberry sauce, tomato or Alfredo sauce, pasta, pumpkin pie mix, instant coffee, hot chocolate mix, apple cider, fresh fruit, rolls, marshmallows, chocolate bars, graham crackers and cinnamon rolls. 770-479-1703. irma@cfvc.org. Hosted by Canton First United Methodist Church. Volunteers will serve approximately 2,000 meals in Cherokee and Pickens counties on Thanksgiving day. Delivery, dine-in or pickup. This dinner is for anyone who needs a meal, does not want to eat alone or simply isn’t able to prepare Thanksgiving dinner. Local area emergency service personnel and hospital emergency staff members will receive dinners, too. To order a meal, call 770-877-2601 or email ctmeals007@gmail.com. Dinners are delivered between 11 a.m. and 1:30 p.m. To dine in or pick up, also call 770-877-2601 to reserve your meals. Dine in starts at noon. Volunteers for delivery can email ctdrivers007@gmail.com (password: turkey dinner). Allow a few days for response. Opportunities to volunteer to assist with meal prep and serving start the week before Thanksgiving; email CTvolunteers2017@gmail.com or contact Cheryl Mosley at 678-296-7297 or mcbratney52@comcast.net. Allow a few days for response. Food or monetary donations also are needed. Mail a check to CFUMC, 930 Lower Scott Mill Road, Canton, GA 30114. Indicate Cherokee Thanksgiving in the memo line. This nonprofit promotes the health and happiness of children in Cherokee who are affected by abuse. The group works to ensure their safety, advocate on their behalf and respond to meet their needs. Holiday needs include new coats, socks, pajamas and underwear. Target or Walmart gift cards are welcome. 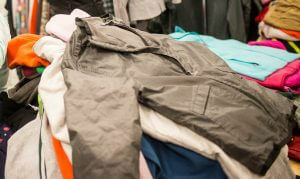 Items can be dropped off at 1083 Marietta Highway in Canton. 770-345-3274. The nonprofit, which offers free Christian preschools, including a location in Canton, holds Happy Birthday Jesus parties each year for the young students. The Canton party, which is expected to draw 300 children, will be held 6:30-8:30 p.m. Sunday, Dec. 17 at the Canton YMCA. Volunteers can help with setup beginning at 5 p.m. Individuals or groups can sponsor a child: $10 gets a Happy Birthday Jesus shirt, $25 gets the child a shirt, gift bag, balloon, cake and drink. For more details, call Feed My Lambs at 770-795-9349. Forever Fed is distributing 385 Christmas food boxes to families in need, as well as hosting mobile pantries in communities experiencing high need. Groups, businesses and individuals can donate non-perishable foods such as peanut butter, jelly, canned beans, canned soups, breakfast-style snacks and hygiene items. To donate, contact Susan@ForeverFed.org or phone 678-883-3314. The holidays can be difficult times for the foster youth Goshen Valley serves. The youth can use a little extra support from their community, and area residents can help by providing meals for the youth and house parents. “Frozen casseroles are a huge blessing for our house parents who are having to prepare three meals a day when the boys are out of school,” says Zach Blend, CEO of Goshen Valley. Individuals or small groups are encouraged to donate frozen meals. You can even deliver them in person and take a tour of Goshen Valley. Gift cards from Walmart, Target and Amazon can also help to fill many Christmas wish lists. Gas cards are also encouraged. The executive director at Goshen Valley Ranch, Stacy Cooper, is putting together an Amazon wish-list for the youth. If you would like to purchase a specific gift, please email Stacy at scooper@goshenvalley.org or call 770-796-4618. 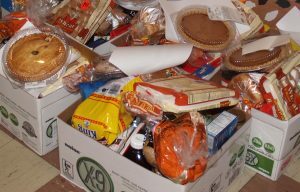 The Thanksgiving Food Box Program has its roots in the very origin of the Thanksgiving holiday. The agency is looking for donations of cans of cranberry sauce and sweet potatoes; boxes or packets of mashed potatoes, macaroni and cheese, cornbread, stuffing and gravy mixes, frozen pies and turkeys (no glass please). Grocery store gift cards are also welcomed. Monetary donations for turkeys and frozen pies are the most helpful both for our planning purposes and to maximize your donation dollars. Non-perishable items can be dropped off between 8 a.m.-3 p.m. Nov. 1-13. 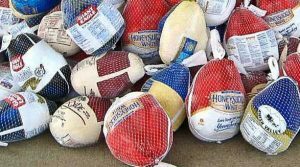 The frozen turkeys and pies can be dropped off between 8-9 a.m. Nov. 20-22. Both dropoffs are at MUST’s Canton location at 111 Brown Industrial Parkway. Volunteers are welcome, too. It always helps to let MUST know what items you’ll be bringing. Please contact Ranettia Beasley at 770-576-0359 or email at cherokeeholiday@mustministries.org. The food pantry needs financial donations (tax deductible) to provide Thanksgiving turkeys and family meal boxes to 600 local families who are having a rough time financially. Never Alone’s partnership with the Atlanta Community Food Bank allows it to purchase food at greatly discounted prices. Donate online or by check, made payable to and mailed to: Never Alone Outreach, P. O. Box 1904, Woodstock, GA 30188. Representatives will be collecting donations of filled shoeboxes Nov. 13-20 at Canton First United Methodist Church, 930 Lower Scott Mill Road. Operation Christmas Child, a ministry of Samaritan’s Purse, collects boxes filled with clothing and accessories, craft items, school supplies, toys and personal care items, and ships them around the world to children in need. Collection times are: noon-2 p.m., Monday–Friday, Nov. 13-17, with additional times of 5-7 p.m., Nov. 15; 11 a.m.-2 p.m., Nov. 18; 1-4 p.m., Nov. 19, and 8-10 a.m., Nov. 20. Consult www.samaritanspurse.org/occ for information on how to pack a shoebox. Donations of turkeys, hams and produce are needed, as well as non-perishable food items. A list of the top-10 food needs is kept up-to-date on the website. Papa’s Pantry is a food and stability training organization for the community. For details, call 770-591-4730. The Secret Santa program of the Department of Family and Children’s Services for Cherokee County offers a way for individuals, businesses or larger groups such as Sunday school classes or Boy and Girl Scout troops to help the more than 350 children in foster care this year. Sponsors can donate as much or as little as they can. All size donations are appreciated. For more details, call the Secret Santa phone line at 470-235-0753 or email cherokeesanta@yahoo.com.